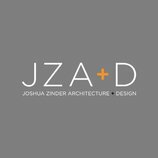 JZA+D is a full-service multidisciplinary architecture and design firm with more than 75 years of collective experience in a wide variety of project types, including residential, hospitality, corporate, tenant fit-out, institutional, and municipal. We pride ourselves on our client relationships; we strive to be cooperative partners, good listeners, and creative problem solvers. Through a collaborative process, we are able to develop effective and tailored solutions for each client's particular needs that are modern, cost-effective, and state-of-the-art. JZA+D also offers comprehensive interior design services that lend artistic vision to each client's unique sense of style, and or customer furniture design services enable us to offer unique pieces to accompany our interior spaces. Following a strong belief that good design should incorporate sustainable and green principles, over half our talented professional staff are LEED accredited. We look forward to designing your next project in a way that will meet your goals and have a positive impact on our local community.